Our product range includes a wide range of merry gold granite, deora brown granite, amba white granite, juparana granite, rajasthan black granite and colonical cream granite. 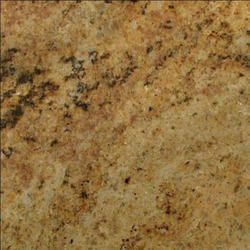 Owing to the increasing demands of our customers we are offering a wide range of Merry Gold Granite. These products add the grace to the place and are highly demanded by our clients. This requires less maintenance and is highly reliable. All these products are known for its stain free nature. 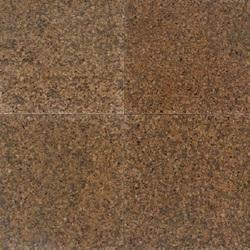 As a company we are offering a wide range of Deora Brown Granite Slab to meet the demands of our clients. These products are exquisitely designed to enhance the beauty of a place. Our products are quality tested and ensure a long term service. The looks of these products are highly elegant and attractive. These can be bought easily at reasonable rates. To meet the diverse requirements of our clients, we are offering a wide range of Amba White Granite. 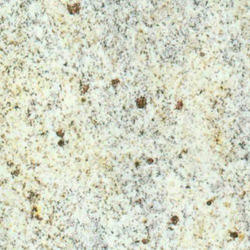 This granite is white based with brown dots that are clearly visible and give attractive appeal. The neutrality of the different shades of white in this granite will compliment almost any color scheme allowing you to update your look using accent colors in the kitchen accessories, blinds many more. 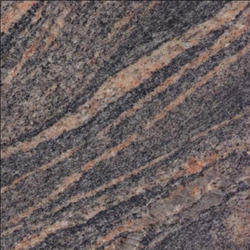 This granite has good composite strength and is very much ideal for sturdy constructions. As a reputed firm, we are offering a wide range of Juparana Granite to meet the demands of our clients. These lights have a trendy look and are available in varying designs. These products are tested by most qualified technicians therefore these slabs do not compromise on the quality. These are reliable as these have a long life capacity. Rajasthan Black Granite was being found around 2008 in Devgarh town of Rajsamand in Rajasthan. 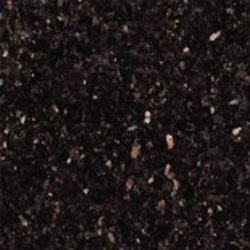 Since this is a new variation of Black Granite from India & also very cheap in comparison to the south black granites, it has become the first choice among builders, architects, Industries, Traders, Contractors and end–users in very short time.Rajasthan Black Granite is strong and durable, resistant to weather changes. stain/scratch resistant & takes highly gloss polish finish.  It can be used in various interior and exterior applications such as Flooring, Paving, Wall Cladding, Counter tops, Backsplash etc.Rajasthan Black Granite also known as Rajsamand Black Granite is available in Flamed, Polished, Honed, Shot blasted, Water blasted, Brushed and Antique finishes. We are supplier of Colonial Cream Granite Slabs & Tiles. We supply all kind of stone products like Tiles, Slabs, Cut to size, Stairs, Pool Coping, Steps & Risers, Multi format Tiles, Countertops etc. 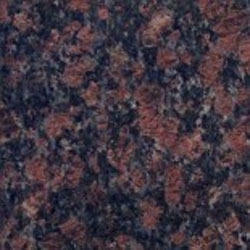 Imperial Red Granite is a Dark red granite with black, golden, blue and white colours specks. 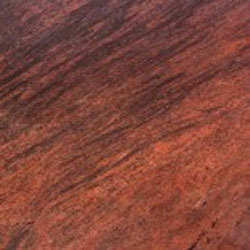 It is also famous as Indian Gem Red Granite & Chatarpur Red Granite, the beautiful thumb like impression on the red texture makes it a different red granite from India.Imperial Red Granite is very strong and durable, resistant to weather changes. stain/scratch resistant & takes highly gloss polish finish. It is widely used for various interior and exterior applications such as Flooring, Paving, Wall Cladding, Countertops, Backsplash etc.Imperial Red Granite is available in Flamed, Polished, Honed , Brushed and Antique finishes. 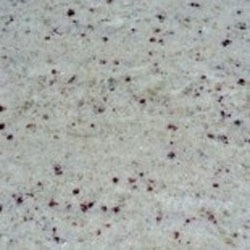 We are supplier of Kashmir White Granite Slabs & Tiles. We supply all kind of stone products like Tiles, Slabs, Cut to size, Stairs, Pool Coping, Steps & Risers, Multi format Tiles, Countertops etc. We are supplier of Himalayan Blue Granite. We supply all kind of stone products like Tiles, Slabs, Cut to size, Stairs, Pool Coping, Steps & Risers, Multi format Tiles, Countertops etc. We are supplier of Madurai Gold Granite Slabs & Tiles. We supply all kind of stone products like Tiles, Slabs, Cut to size, Stairs, Pool Coping, Steps & Risers, Multi format Tiles, Counter tops etc. 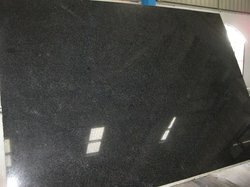 We are supplier of Black Pearl Granite. We supply all kind of stone products like Tiles, Slabs, Cut to size, Stairs, Pool Coping, Steps & Risers, Multi format Tiles, Counter tops etc. We are supplier of Paradiso Granite Slabs & Tiles. We supply all kind of stone products like Tiles, Slabs, Cut to size, Stairs, Pool Coping, Steps & Risers, Multi format Tiles, Counter tops etc. We are supplier of Ivory Brown Granite Slabs & Tiles. We supply all kind of stone products like Tiles, Slabs, Cut to size, Stairs, Pool Coping, Steps & Risers, Multi format Tiles, Counter tops etc. 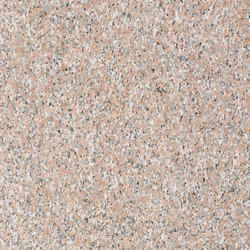 We are supplier of Rosy Pink Granite. We supply it in diamond cutter size slabs & also in cut to size tiles according to the project. 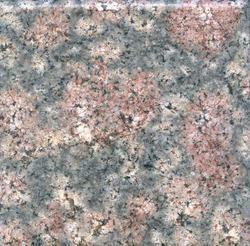 We are supplier of Chima Pink Granite Slabs & Tiles. We supply it in diamond cutter size slabs & also in cut to size tiles according to the project. We are supplier of Bala Flower Granite Slabs & Tiles. We supply it in diamond cutter size slabs & also in cut to size tiles according to the project. Backed by the years of experience and expertise, we are offering a wide range of Tan Brown Granite. 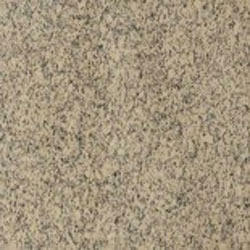 Tan Brown Granite is very strong and durable, less porous, stain/scratch resistant & takes highly gloss polish finish. It is widely used for various interior and exterior applications such as Flooring, Paving, Wall Cladding, Countertops, and Backsplash etc. 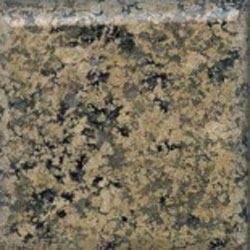 The Tan brown Granite is available in Flamed, Polished, Honed, Brushed and Antique finishes. As a reputed firm, we are offering an extensive range of Absolute Black Granite. Available in different variations, These garanite products are offered in different sizes and shades as per the choice of our customers. These products are hardened and quenched in state and ensure long lasting service life. Moreover, we are offering these products at affordable rates. To fulfill the demands of our clients, we are offering a wide range of Steel Grey Granite. The varying size of crystals and mica in Steel Grey Granite give it real life and depth. The neutrality of the different shades of grey in this granite will compliment almost any colour scheme allowing you to update your look using accent colors in the kitchen accessories, blinds and many more. 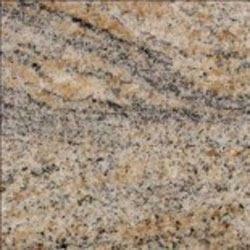 This granite has good composite strength and is very much ideal for sturdy constructions. 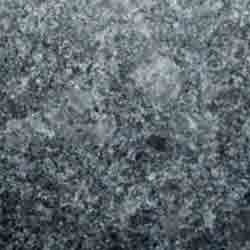 Steel Grey granite is very strong and durable, less porous, stain/scratch resistant & takes highly gloss polish finish. It is widely used for various interior and exterior applications such as Flooring, Paving, Wall Cladding, Countertops, Backsplash and many more. 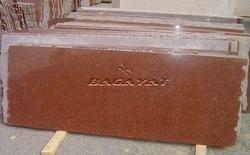 According to the needs and demands of our clients, we are offering a wide range of Multicolor Red Granite Products. These products are easy to install and are perfect for commercial areas such as hotels, resorts and many more. Available in different range of vivacious color combinations, this granite has good composite strength and is very much ideal for sturdy constructions. 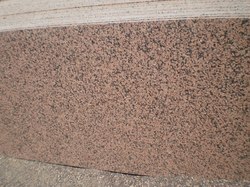 Red Multicolor Granite is strong and durable, resistant to weather changes. Stain/scratch resistant & takes highly gloss polish finish. It is widely used for various interior and exterior applications such as Flooring, Paving, Wall Cladding, Counter tops, and Back splash etc. 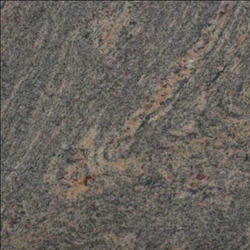 Red Multi color Granite is available in Flamed, Polished, Honed, Shot blasted, Brushed and Antique finishes.